The West Coast National Park. 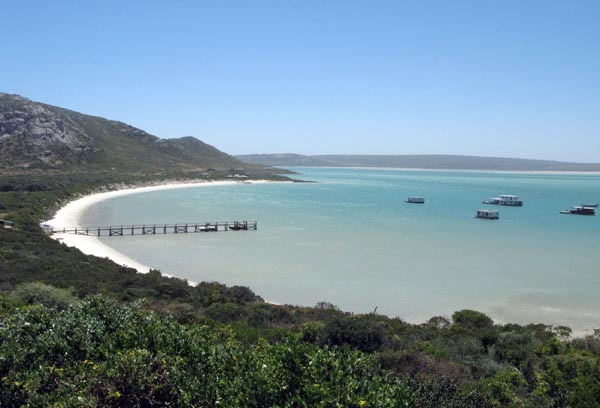 On the other side of the lagoon at Langebaan is the West Coast National Park. 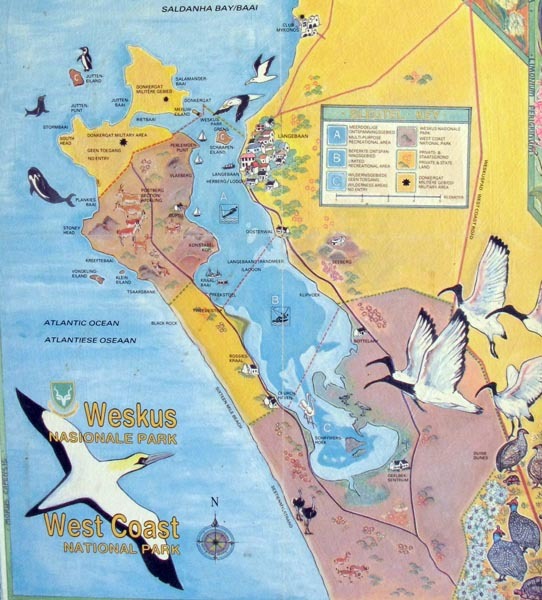 The Park was established in 1985 with the aim of conserving the Langebaan Lagoon and surrounding landscapes, which also includes the islands in Saldanha Bay and the area from Yzerfontein to Langebaan. 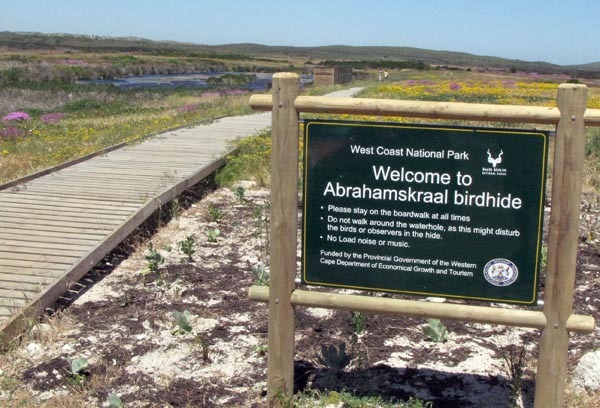 The habitats in the park are unique and varied and its salt marshes and wetlands together with the granite islands in Saldanha Bay, cover an area of over 32,000ha and are ideal for the large breeding population of sea birds and also the growth of lowland fynbos. One of two entrances to the park. 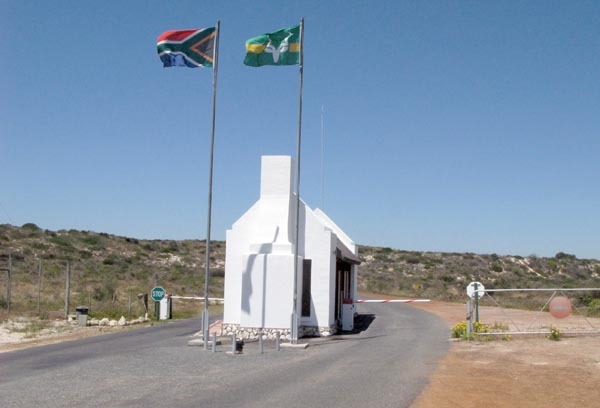 This is the entrance from the Langebaan side and there is another entrance from the R27 to Velddrif. 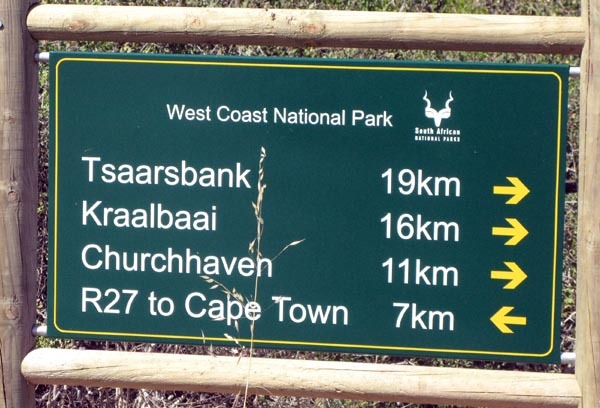 Entrance costs R26.00 per adult or you can get in for free if you have a SAN Parks Wild card. 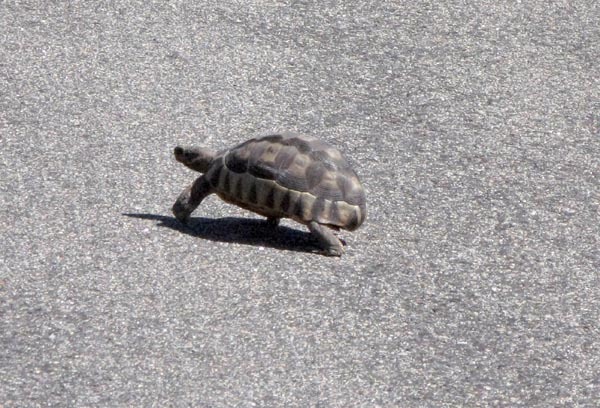 I must have seen at least 30 tortoises on the road as I drove to and through the park. 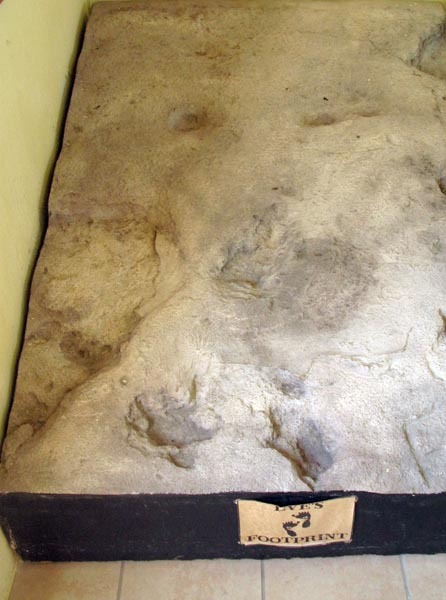 Some were not lucky and had been hit by motorcars. Shame! 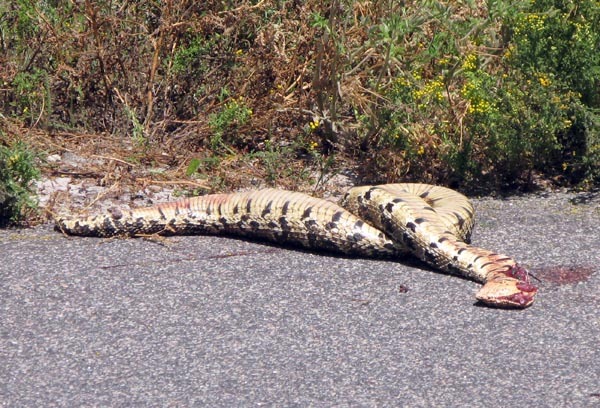 This Puff Adder (Bitis arietans) was also not so lucky. 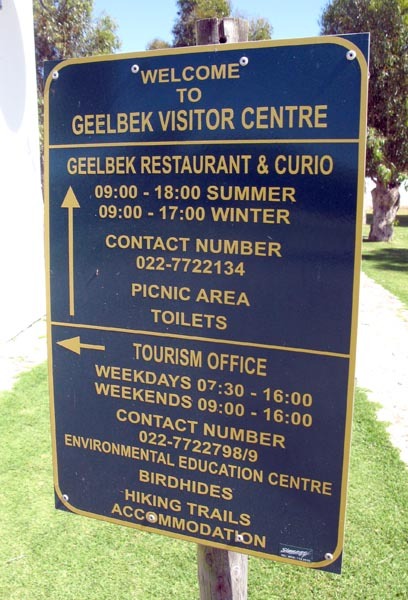 I recommend that the first place you stop in at is Geelbek Visitor Centre. There is a very good information centre, great restaurant and an interesting curio shop. There are many sign boards in the park as to all the different spots but just be aware that not all are open to the public. 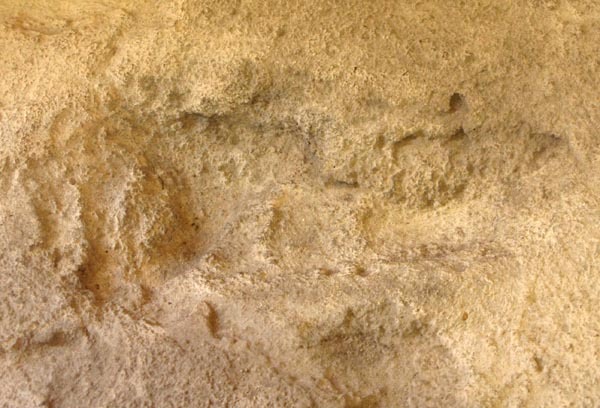 One of these is the Postberg section which is only open in the spring flower season of August and September. Another not open, all year round, is Churchhaven. Some of these houseboats, one being the Nirvana, are available for accommodation and there are also quite a few self catering chalets at a place called Duinepos. 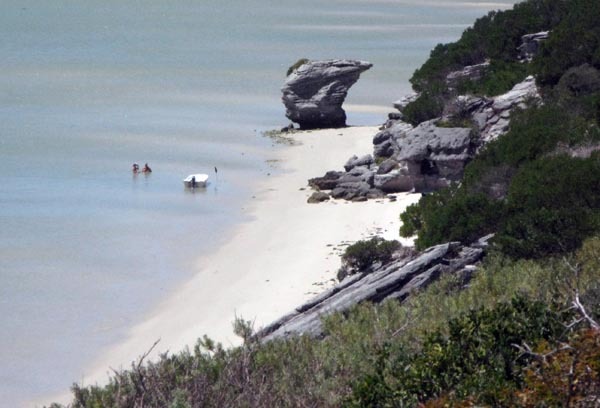 Preekstoel which is close to Kraalbaai. Vondeling Island on the seaward (Atlantic) side of the park. View of Vondeling Island (21ha) taken from Tsaarsbank. The island was last inhabited in 1962 and the old buildings are now used by penguins and other birds. 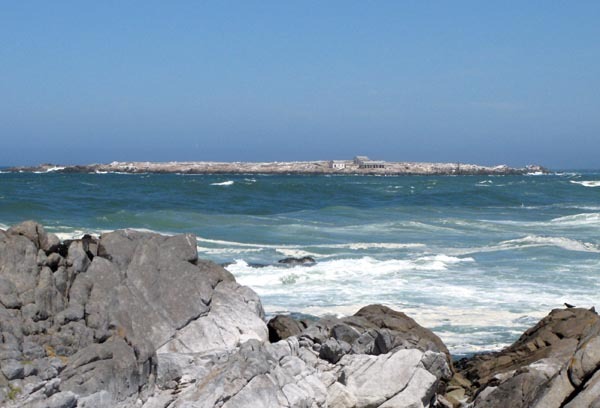 As with much of the west coast - rough seas and rocky shoreline. 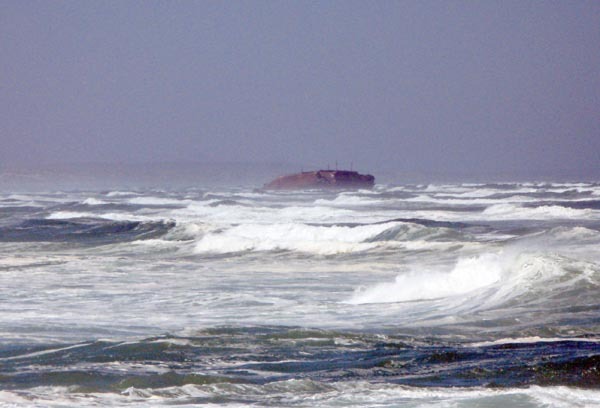 In the distance the Pantalis A Lemos, an ore-carrier, which went aground in 1978. It is about a 4 km hike along the beach, in soft sea sand, to get to the wreck and my time was running out so just took a telephoto shot from the beach. 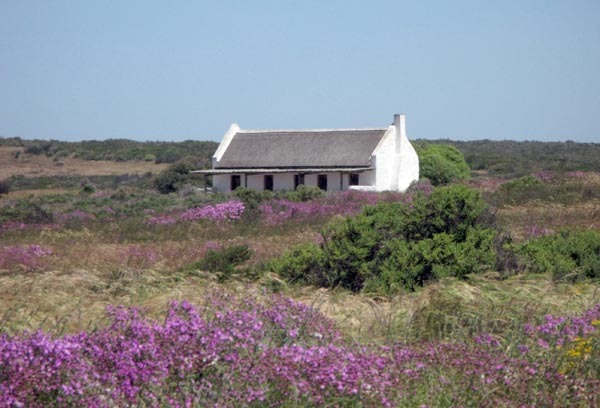 Self catering cottage near the Abrahamskraal bird hide. Electricity in the house is provided by solar power and the stove, geyser and fridge are gas operated. The weather, on the day of my visit to the park, was not great so maybe that was why I did not see much wild life apart from the tortoises, a few snakes and a couple of wild ostriches although I was told that a lot of game can be seen in Postberg when it is open in Spring. 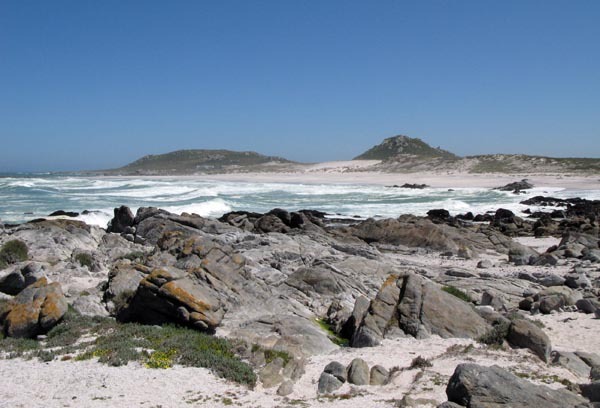 There are 4 different options for both hiking and cycling trails and Kraalbaai and Preekstoel are great for just relaxing on the beach and having a family braai. 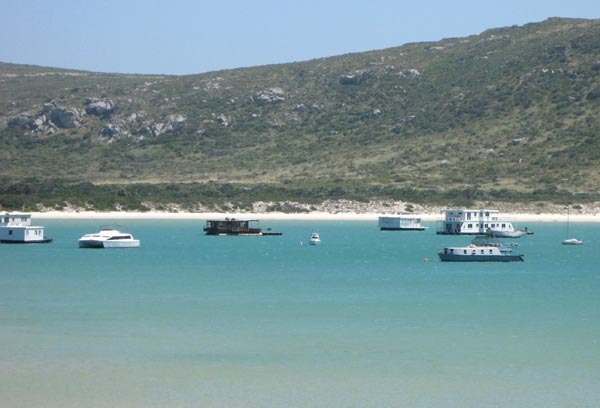 There is also kayaking, windsurfing, kite-boarding and if you are lucky whale watching at Tsaarsbank from August to November.